Winners of the 2013 LanguageCorps Media Contest! We are very pleased to announce the winners of the 2013 LanguageCorps Media Contest! Our sincere thanks goes out to everyone that sent in their photo and video submissions. We were truly amazed at the quality of the work we received, and it was honestly very hard to pick just three winners. 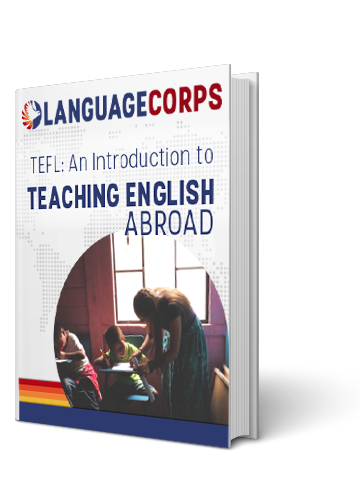 It was very rewarding for the LanguageCorps staff to see people share so many positive memories of teaching English abroad, and it is our great privilege to be able to share those memories with prospective LanguageCorps participants. We hope that all of your stories will encourage others to get out and see their world, whether by teaching English abroad or any of the other numerous ways to travel this great planet! But enough of that, I’ll let the outstanding work from our teachers do the talking! Click more for the photos/videos. A great video slideshow from Lindsay showcasing her time Teaching English in Asia, as well as various globetrotting (India, Australia, etc – she really packed a lot into a year abroad!) Set to some cool (and appropriate) music from Of Monsters And Men, One Republic and more. The majority of the entries we received were from our Asia programs, so it was really nice to get to check out some breathtaking photos of Sarah teaching English in Italy. Check out a few of our her awesome photos and much more at her excellent blog! ** Thank you again to everyone that submitted their material. Every single submission that we received could have been picked as a winner, so we ultimately tried to showcase a variety of different styles and locations in addition to artistic accomplishment. We will be sharing more photos and videos over the coming weeks, as they all deserve to be seen, so keep an eye out for that!